The creator of The Lucky Dog Picturehouse, Emily composes for and performs on guitar and banjo. 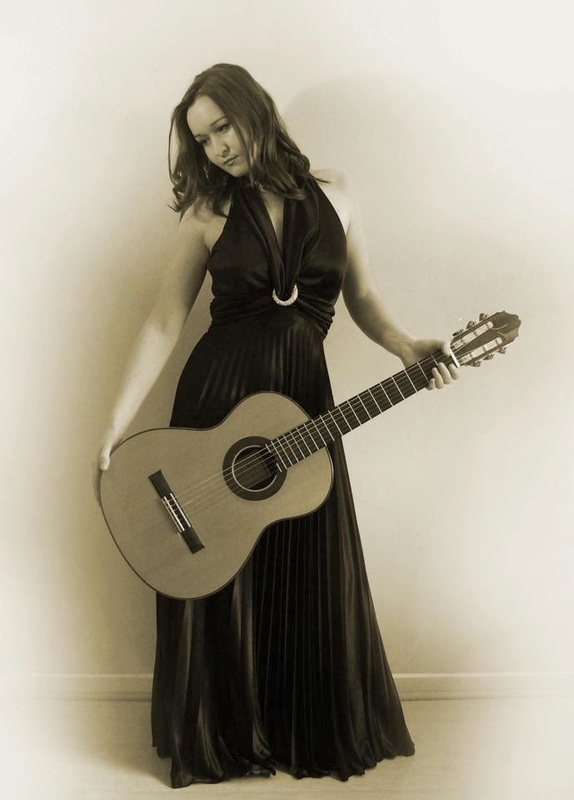 Emily originally graduated from Trinity College of Music with Honours on Classical Guitar in 2008, and since then has travelled the world performing everywhere from Chile to Germany, Barbados to Dublin. She has also composed widely for radio and theatre, and performs regularly as guitarist and vocalist with many of London’s finest classic jazz artists. Emily is an passionate researcher of silent film history and has been invited to lecture on the subject of music for early film at BFI Southbank. 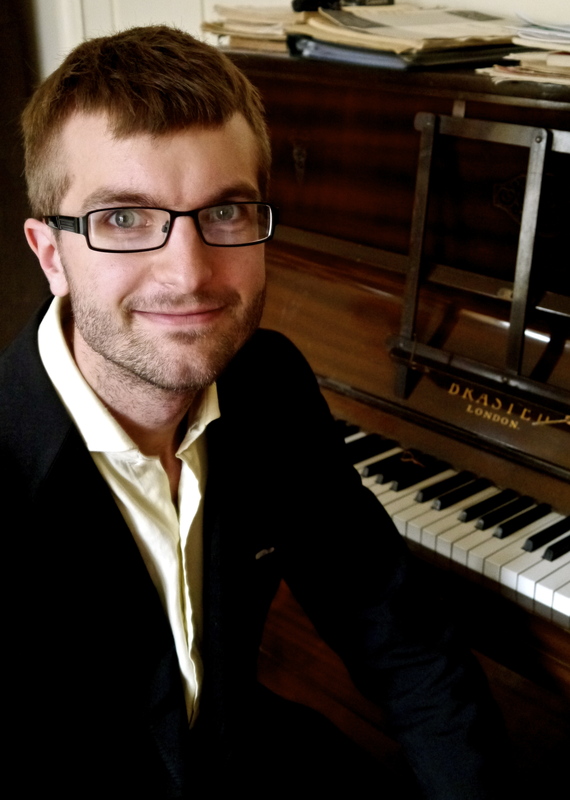 Born in Canada, Peter began life as a classical pianist before running away to travel the world. Peter has astounded audiences all over Europe in a wide variety of musical styles and has been a core Lucky Dog accompanist from the very beginning, performing his stunning original scores to films such as ‘Le Voyage Dans La Lune’ and ‘The Cabinet Of Dr. Caligari’ at prestigious venues including the BFI Southbank, Wilton’s Music Hall, Hackney Attic and Abney Park. Tom is a jazz graduate from the University of Southampton. In the past decade he has performed alongside notable artists such as Brian May, Mark Lockheart, Guy Barker and Dennis Rollins. Having joined the Lucky Dog Picturehouse’s roster of talent just last year, Tom has already built up an impressive résumé of silent film work, performing his superb original scores for Keaton, Chaplin and others at the BFI, Wilton’s Music Hall and the Horniman Museum. A world-renowned specialist in ragtime and early jazz, Nicholas has played and arranged for Downton Abbey and for many years led the UK’s only professional ragtime band, Albert Ball’s Flying Aces. Playing drum kit, but also tuned-percussion, concertina, xylophone and musical saw, as well as being a gifted composer and arranger, Nicholas has been a regular for The Lucky Dog Picturehouse since its inception, and even occasionally fulfils the role of compere, in addition to his percussive duties. 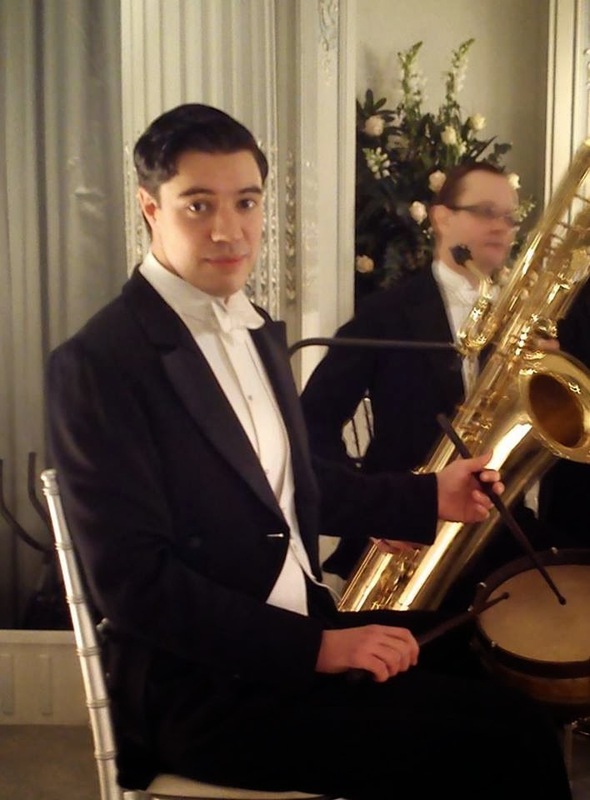 Daniel Mays always looks to have fun in whichever musical situation he finds himself in. Playing anything from early jazz right through to the freest of free improvisation, you will always find him with a smile on his face. A graduate of Middlesex University, Dan has since embarked upon a wide array of musical endeavours, performing with musicians both nationally and internationally including roaring 20s big bands, raucous rock groups and a smattering of TV and film performances thrown in. He also leads a great swing band, The Red Roosters. Chris has been involved in a wide variety of music making across many genres. Graduating from the TrinityLaban jazz course in 2011 he won a Yamaha jazz scholarship in the same year. Chris has performed in world famous venues such as Ronnie Scott’s Jazz Club, the 606, the Royal Albert Hall, the Bull’s Head, Pizza Express Jazz Club, joining the likes of Jean Toussaint (Art Blakey), Malcolm Earle-Smith, Bobby Wellins (Stan Tracey), Mark Lockheart (Loose Tubes) and the Syd Lawrence Orchestra. He held the piano chair with NYJO (National Youth Jazz Orchestra) from 2008-2014, playing high profile performances such as the BBC Proms. Chris has played on albums by UK up-and-coming jazz artists Noemi Nuti, Callum Au, Henry Armburg-Jennings and Ed Barker. Playing many gigs on London’s early/trad jazz scene led to his association with the LDPH from 2014. Born in Birmingham in 1989, Sam studied at Leeds College of Music before continuing his studies at Royal Academy of Music with a scholarship. He graduated with distinction in 2013, also winning the Humphrey Lyttleton prize. He has performed professionally with Ray Warleigh, Abram Wilson and Jason Marsalis amongst many others and regularly performs across the UK and in Europe. He has performed at the BBC proms late series which was broadcast on BBC 3, and also at venues across London including Wigmore Hall, the Forge in Camden, 606 Club, Pizza Express Soho and The Vortex Club. His Album Mime Music was released in July 2017 on SPARK! records.